DEVKIT core differences between e200Z4 PNs? 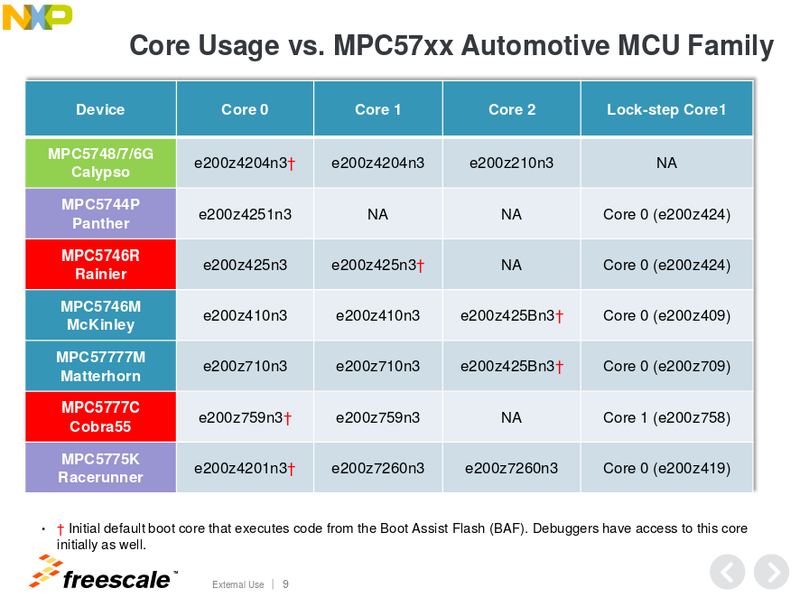 And multiple z4 cores listed across all of the devices. Are there any architectural differences between the part numbers? Is it just an internal reference as to how they are on die? And an aside question, what is the origin of the 'codenames' for the processors. Some are mountains. Racerunner is a lizard, calypso is Greek and panther is a cat. One note to checker core (in your question e200z424), its number is subtracted by 1 and it is equal core as main one (e200z425) but does not have internal memories IMEM/DMEM/ICache/DCache. It is only used for lockstep.